My wife had a relatively easy pregnancy with our son, though around week 36 and onward she thought she was carrying around a Costco-sized sack of flour inside her. I’m not a mother, so tell me if I’m off-course: Have you ever wondered how much that baby you’re carrying weighs in Big Macs? Not really? Well, someone made this site anyway: HowManyBigMacsIsMyBaby.com. You input how many weeks along is your pregnancy, and based on the average, the site tells you how much your baby inside weighs in units of Big Macs. 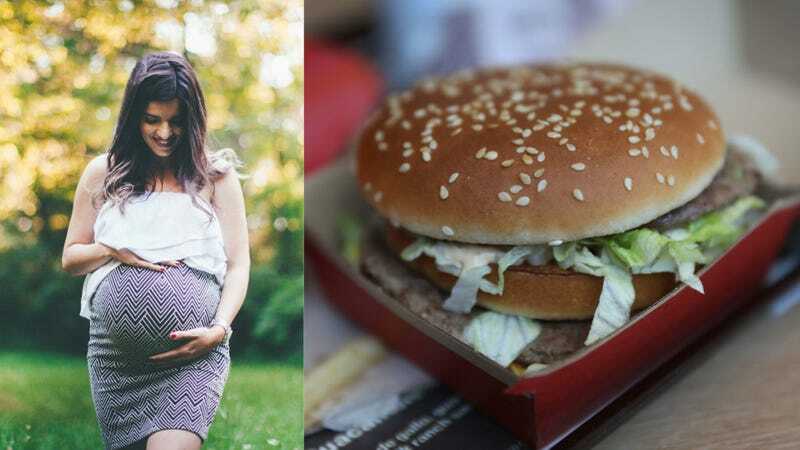 Did you know it takes on average 19 weeks of pregnancy for the baby inside to weigh one Big Mac?